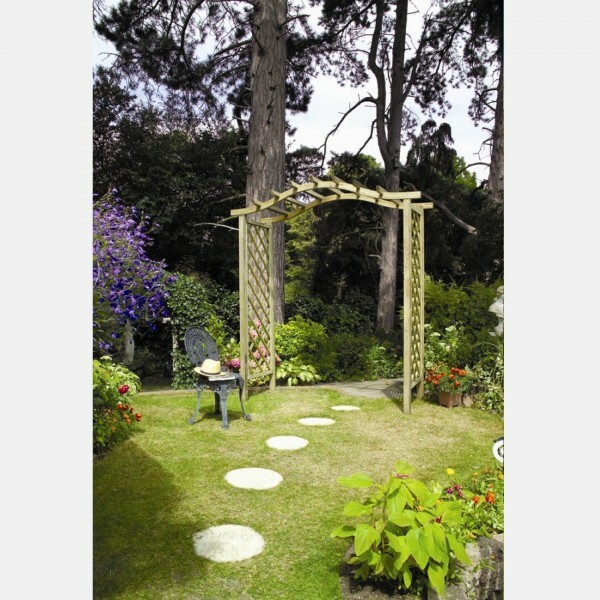 Arches, arbours and pergolas may be a classic garden accessory but they can also be used in contemporary designs too. 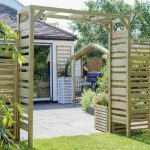 The Urban Garden Arch PTG is a modern looking example which performs the same function but with a much more up to date look. 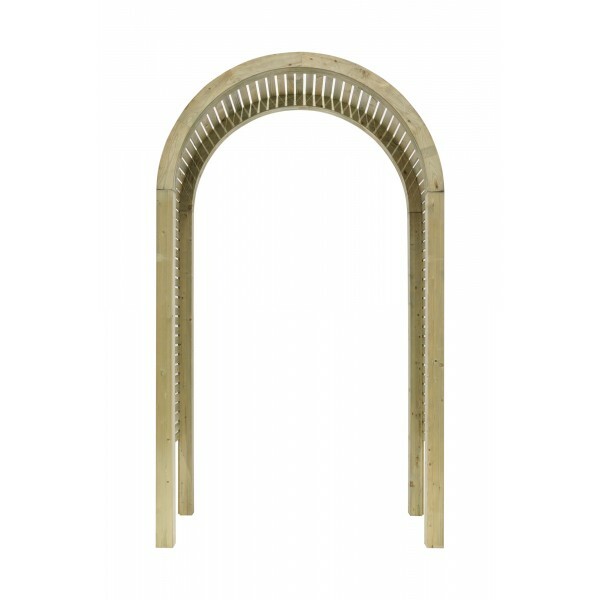 Imagine the traditional style of arch squared off with a far more geometric appearance, and you’ll get the idea of what the Urban Garden Arch PTG looks like. Angular and clean, this arch has no fussy curves or frills, just simple and minimalistic features that are designed for maximum impact. 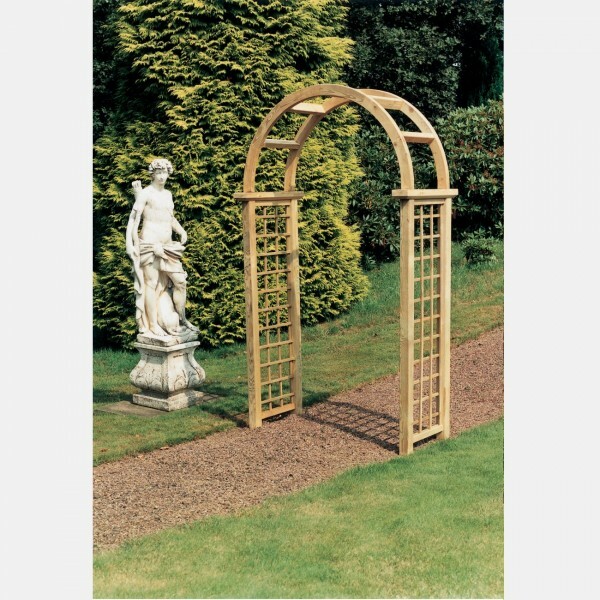 This arch looks good over paths or garden passages, marking them out as a focal point. 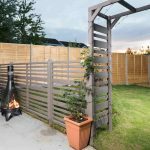 Alternatively, it can be used either on its own as a centrepiece or in between fencing to create a transition from one part of the garden to another. 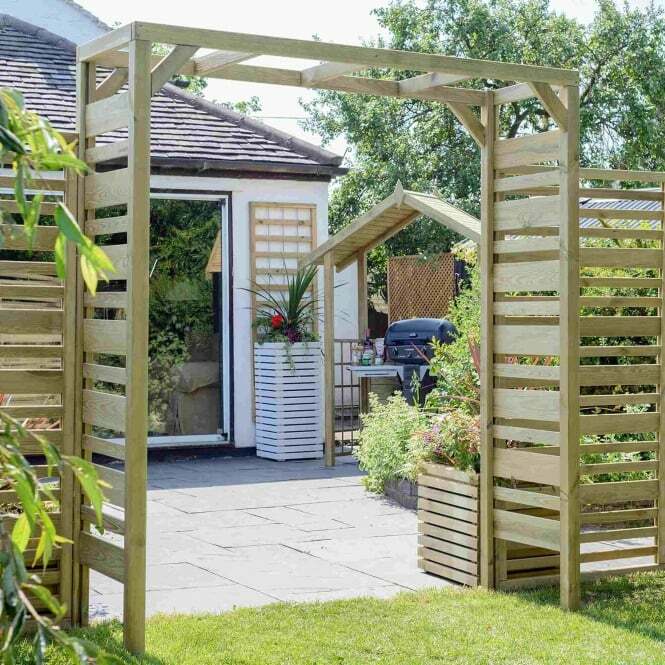 On either side you’ll find two different sizes of slat, one wide and the other narrow, fixed in an alternating pattern. 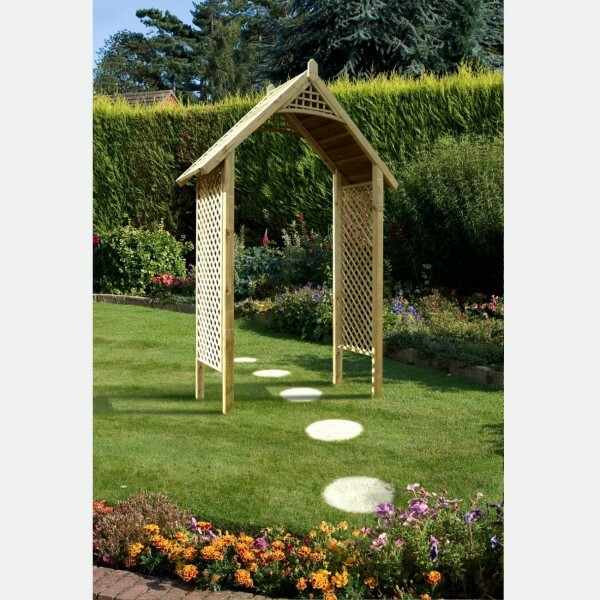 This provides excellent space for climbing plants to weave around, decorating your arch and integrating it with your garden. 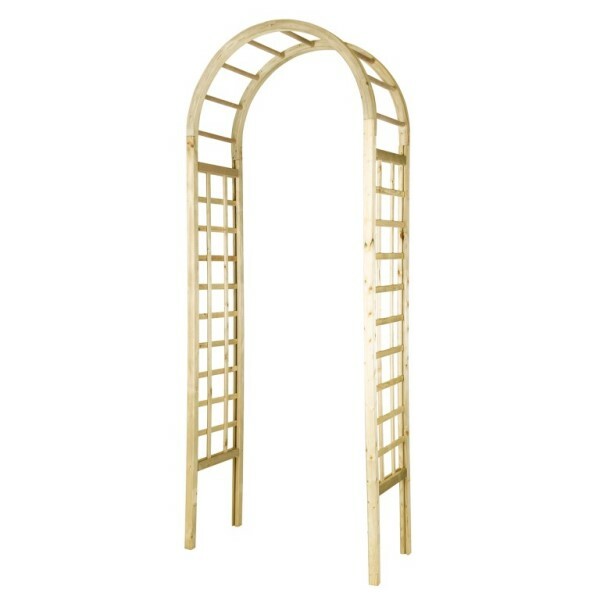 Across the top, the arch is squared off and features large and chunky supports which are sparse and widely spaced. 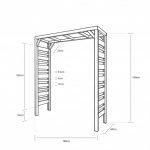 The whole structure has been pressure treated to provide protection against wood rot and decay and to guarantee a long lifespan. 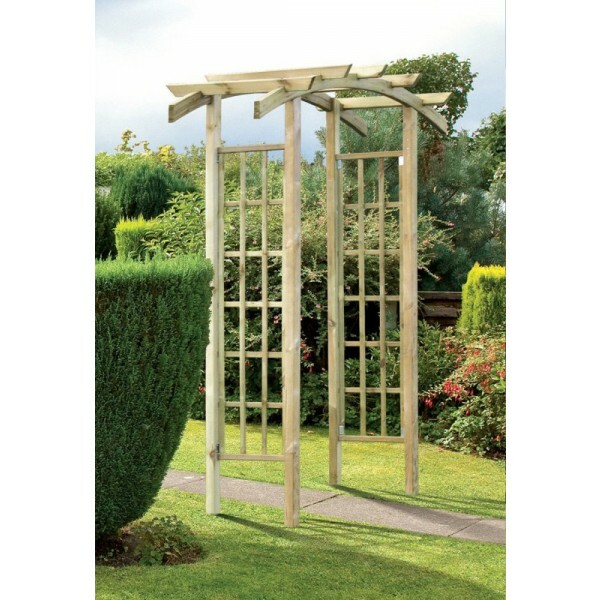 The Timber is planed and pressure treated to provide protection from wood rot.